This nonrepresentational cube represents a 12 inch cube. This was built using basswood sticks andBristol paper. 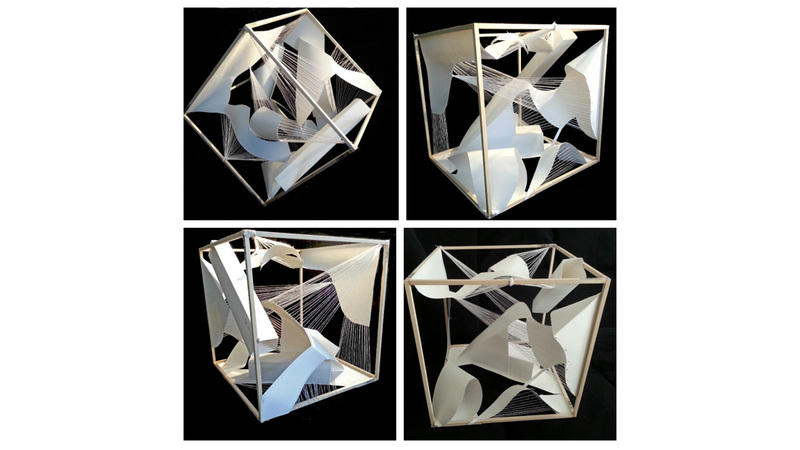 Different shapes were created and glued inside the cube with sewing white thread on Bristol paper which created connections. This gives a sense of cubism and how connections are made inside it.